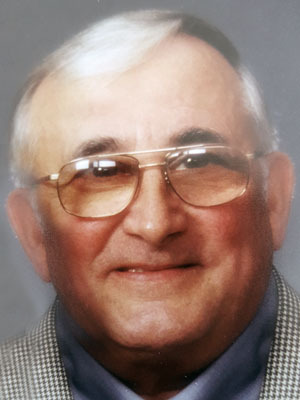 Dan Petrick, age 79, passed away on Wednesday, April 10, 2019. A funeral service will be held on Friday, April 19, 2019 at 11:00AM with a visitation 1-hour prior, all at Ballard-Sunder Funeral Home, 104 First Street West, Jordan, MN. Pastor Peter Johnson will preside. On April 1, 1940 near Hibbing, MN, Daniel Petrick was born to parents, Nickolas Sr. and Mary (Pucel) Petrich. Dan was the seventh of eight children. Growing up on the family farm wasn’t always easy, but it taught Dan the value of hard work. The family often played music together and like many of his siblings, Dan was musically talented—playing by ear, without any formal lessons! In search of better opportunities, Dan moved to the Twin Cities. He was a property manager for several apartment buildings and the maintenance manager for the Boy Scouts of America based out of the Carpenter Mansion in Minneapolis. Dan also remodeled condos at the 510 Groveland, ran various businesses including Petrick Construction, but his passion was to diligently restore older homes. A man of many talents, Dan truly believed in restoring properties to their former beauty. On November 12, 1960, Dan married Mary Hubbartt in Willmar, MN. While they eventually parted ways, this union was blessed with three children. The family lived at the Carpenter Mansion until 1975, and then the family settled on a farm outside of Jordan. What began as a one-windowed abandoned home in need of much repair became a beautiful homestead. When restoring and remodeling the farm, Dan was a visionary. He painstakingly restored the late 1800’s sandstone house with its two foot thick rock walls, rebuilt the granary into the “gingerbread house” guest house, planted an orchard, landscaped with evergreen trees and many flowers, designed and built a coy pond with a double waterfall. He was constantly working on improving the property. Dan was a self-made, hardworking man and shared his talents with others. He especially loved helping his grandson, Max, with projects—his favorite being their lemonade stand! When he wasn’t fixing something, Dan had the opportunity to travel with his daughter Kathy. They were fortunate to visit Las Vegas, Palm Springs, San Diego and Hawaii. Dan is survived by his children, Kim (Farshid Farhangpour) Petrick, Kathy Petrick, Paul Petrick, their mother, Mary; grandson, Max; and siblings, Jennie Sterle, Peter (Eileen) Petrick. Dan is greeted in Heaven by his parents; siblings, Milan (Norma) Petrich, George Petrich, Nickolas Petrich Jr., Walter Petrick, Sam Petrick; brother-in-law, John Sterle. Arrangements Ballard-Sunder Funeral Home, Jordan Chapel. Very sorry to hear of your dad’s passing. Lou and Nancy Pearson and families. Sorry to hear about your dad, my condolences to you at this sad time. I hope you have many cherished memories to keep your dad in your heart.